The 3x3 e-learning programme will help all National Federations and organisers set up and manage successful 3x3 events such as the FIBA 3x3 World Tour Lausanne Masters. MIES, Switzerland (FIBA 3x3) – The International Basketball Federation (FIBA) on Friday announced the launch of its new 3x3 basketball specific education initiative, the 3x3 e-learning programme (http://academy.fiba.com). This innovative education tool developed by the FIBA Academy with the FIBA 3x3 team is now available to FIBA's 214 member National Federations and the 3x3 community worldwide. The programme brings together the various components of 3x3 to explain the used nomenclature, the rules of the game, the competition structure, player rankings and the digital platforms required to organise, manage and participate in the fast-rising discipline. One major factor to come from the 3x3 e-learning programme is that the 3x3 Federation Ranking points will be doubled for National Federations that have at least one staff member or administrator successfully complete the programme. This is an incentive for all national federations to participate in the programme and raise their knowledge of 3x3. The 3x3 Federation Ranking is the criteria used to identify the teams qualified to FIBA 3x3 World Championships (men, women, U18 men, U18 women) and the Youth Olympic Games. The programme is set to provide an important stepping stone for National Federations and 3x3 Organisers to further improve their knowledge and to develop 3x3 as a whole. 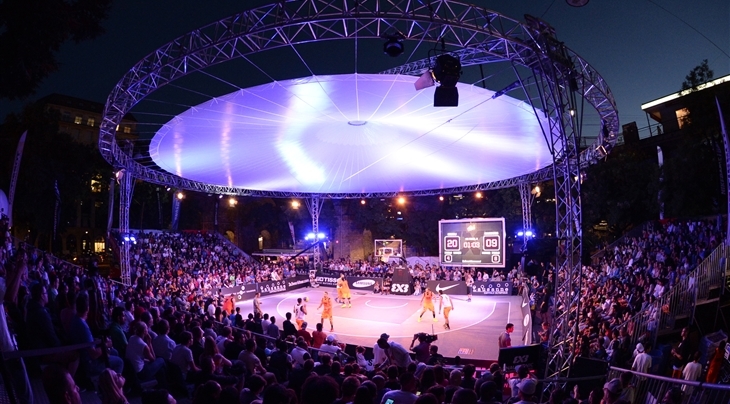 On 12 December, the FIBA 3x3 All Stars will conclude an exceptional season for 3x3 that saw the dynamic discipline make a second successful appearance at the Youth Olympic Games and continue to expand with a growing number of events – including the national-team FIBA 3x3 World Championships and the city-based FIBA 3x3 World Tour – and players around the world. Exciting, urban and innovative, 3x3 basketball is inspired by several forms of streetball played worldwide. Steered by FIBA, games see two teams of three players face off on a basketball half-court. It was played successfully for the first time in international competition at the 2010 Youth Olympic Games in Singapore and since then has benefitted from the launch of a yearly city-based 3x3 World Tour (www.3x3worldtour.com) and national-team world championships. For further information about the FIBA 3x3 World Tour and 3x3 basketball, visit fiba.com/3x3, twitter.com/3x3planet and youtube.com/3x3planet or contact 3x3@fiba.com.